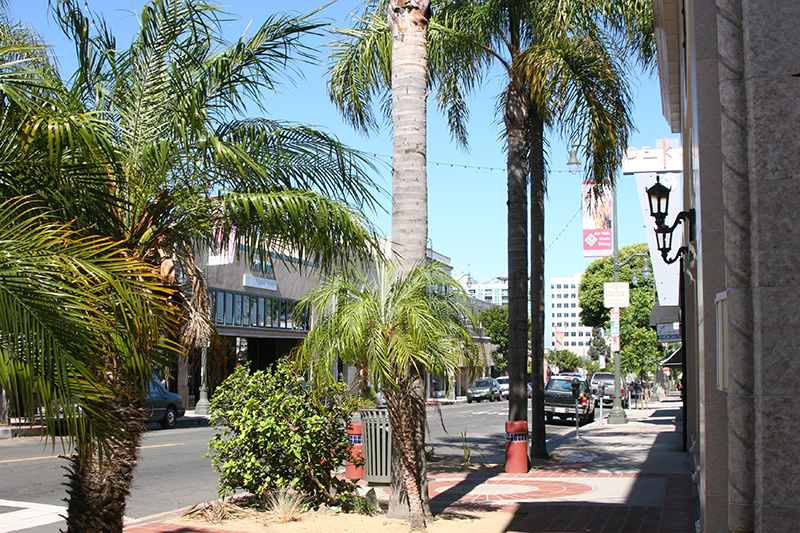 Bordered by Pacific Avenue, 6th and 7th Streets and Harbor Boulevard, San PedroThe historic heart of San Pedro is just steps away from the waterfront and features a collage of architecture, shopping, dining, art, entertainment and browsing. Several restaurants, pubs and coffee houses offer outdoor dining and nightly entertainment. Enjoy cuisine from the Caribbean, Japan, Mexico, Greece, the Continent, down-home and Southern-style–all in the space of a few blocks. San Pedro’s restaurants are known for excellent food and friendly service, featuring foods from all over the world. Dining in San Pedro is truly an international experience. Discover the charm of the delightful shops which pride themselves on customer service. Visit the many art galleries and studios that have made Old San Pedro a center for artists and art lovers. Treat yourself to an item of jewelry, an unusual antique, or perhaps something handcrafted by one of our local artisans. With its small town atmosphere and family-owned businesses, Old San Pedro reminds many of the neighborhood of their youth. A wonderful time to experience Old San Pedro is on the First Thursday of every month except July) when many of the businesses, restaurants, and art galleries and studios stay open late. Every First Thursday is a unique event with free music, dancing, and performances right on the street and street corners. The Tivoli lights strung cris-cross along the streets give the evenings a magical feel. For more information visit 1stThursday.com.